Clashes have happened for four days between members of the Ngok Dinka ethnic group, which tend to have more in common with the south, and the Misseriya, a nomadic Arabic tribe that comes in and out of the Abyie region and whose sympathies would most likely tilt toward the northern government. The death toll was at least 23. Thirteen were Misseriya, according to hospital officials in nearby Muglad. Ten were reported dead in Abyie, said John Ajang, secretary general of the Abyie government. Ajang said witnesses described heavy weaponry inconsistent with the automatic weaponry seen carried by Misseriya tribesmen in the past. “We believe this is an attempt by the Sudanese government to take Abyie while the governments of south Sudan forces are busy with the referendum,” Ajang said. The 4th day conflict in Abyie is putting at stake the seven-day referendum is the separation of Africa’s largest state into two sovereign states. The divisions between the Muslim and Arab-dominated government in the north and the Christian and African tribal populations of the south have been festering since end of colonial rule in 1956. In 1983, those tensions erupted into a 20-year civil war that killed 2.5 million people. As North and South negotiated a peace treaty that would be signed in 2005, Sudan’s president, Omar al-Bashir, began genocide against Muslims in Darfur, a western province of Sudan; he has since been indicted by the International Criminal Court for his crimes there. The negotiated comprehensive peace agreement of 2005 and set Jan. 9, 2011, as the date of a Southern Sudan referendum to decide the fate of the two-state solution was supposed to include Abyie, but due to the complication created by the genocidal Omar Beshir it has been delayed and conflict just flared. As this hopeful and historic day unfolded, and counter to most official expectations, the south resisted provocations in the early going–only to see the initial triumph tested by reports of violent clashes in Abyie. It is a moment of unaccustomed celebration in a trash and rubble covered with red dust under a broad blue sky. But the spirit of the Southern Sudanese people is a mix of jubilation and determination, as they anticipate deliverance in the birth of the world’s newest nation. But Omar’s time bomb in Abyie the Misseriya and the LRA (Lord’s resistance Army of Uganda) already started taking victims. The later recently kidnapped two girls. In Juba Crowds started to gather outside polling stations in at 3 a.m. on Sunday morning. Barring massive fraud, there is little doubt the south will vote overwhelmingly for secession—the betting at local bars is on whether the vote in favor will be over or under 95 percent. Omar Beshir is working to hard with his gents that the threshold 60 percent of the 3.9 million registered South Sudanese voters participated in the referendum not to pass, so the South will stay under his genocidal shadow of slavery. Street signs and billboards imprinted with the words “Vote Wisely.” It is difficult to find any Southerner who wants to remain part of the existing Sudanese state under Sharia law. But those living under the shadow Beshir as middle man working for him reject the referendum. This is surprising, considering the 55 years of struggle and 2.5 million lives that have been lost fighting for independence. Over estimated 40,000 refugees known locally as “Returnees” have flooded the south over the past three months to participate in the referendum and build a new life in their new nation was an additional shock to Omar Bashir. Three months ago, Bashir made the world to believe that the voting would have to be pushed back or delayed indefinitely. International attention had shifted away from Sudan in the aftermath of the peace accords, and “Save Darfur” started to sound like a dusty bumper sticker from 2005. With decreased attention came increased tension between the north and the south. Secretary of State Hillary Clinton warned that Sudan was “a ticking time bomb,” while then-Director of National Intelligence Dennis Blair declared that “a new mass killing or genocide is most likely to occur in Southern Sudan.”But renewed focus on Sudan from the Obama administration, including the appointment of Senator John Kerry as a special negotiator, helped turn the tide. October 2009, China surprised observers by announcing that it would support the outcome of the voting, making it more difficult for the north to suppress the south without displeasing its largest investor. On this first day of referendum voting, there were, however, two conflicts exploding the time bomb of Bashir. They occurred in the provinces of Unity State and Abyie in the 48 hours before people went to the polls in order to scare them away. Specifics are slow to travel in Sudan, and even local government officials seemed short on detailed information, but unconfirmed reports from the regions indicate that four people were murdered in Unity State and as many as 30 in Abyie. Reports of the violence have thus far failed to dampen the hopeful tone of Sunday’s voting. But serious hurdles await the fledgling state. A new government will need to be formed, and official independence will not be granted until July 9. This gives the north at least six months to disrupt the transition and derail the secession after the international camera crews depart. And it’s anybody’s guess whether Monday’s clashes portend the coming greater bomb by Omar Bashir. While President Bashir has earned a reputation as an untrustworthy negotiator, he has said repeatedly that he will accept the results of the referendum. Nonetheless, a contentious issue remains in the fate of the still-contested border state of Abyie. The tribal leaders made it clear that their people’s allegiance is with the south, though they are legally barred from participating in the referendum. Their frustration could result in a popular declaration of affiliation with the south at any time, which could in turn provoke an attack. Tribal proxy wars have proved a devastatingly effective tactic for the north in the past, with the town of Abyie entirely destroyed as recently as 2008. “If the north thinks they could do something and get away with it without dramatic serious implications, they are making the biggest mistake of a lifetime,” Senator Kerry official observer of the Referendum. The Sunday January 9th vote is the beginning of the end for the African colonial sacrosanct frontier as endorsed in 1964 Organization of African Unity conference in Cairo Egypt recognizing the colonial pact of 1880’s that announced the Scramble for Africa. 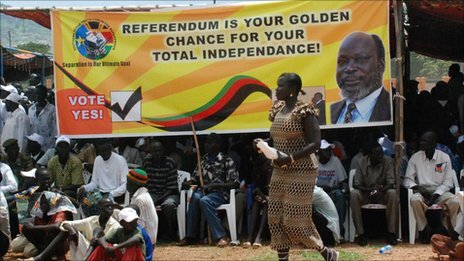 The people of Southern Sudan will vote for freedom and will be independent from servitude. They will declare in favor of cutting their links with Khartoum and become Africa’s 54th state. This is the 1st of its kind that an African region becomes independence fighting slavery, religious imposition and internal strife. The slogan of the Africa Union that Africa must unite did not stop the continent from being Balkanized to different micro states. Thus breaking artificially created colonial borders designed to keep the interest of the colonial powers than that of the African people even in post independent period. In 1960s when most of the continent’s states were created with strong force the interest of the colonial powers were working on the ground. The leaders were forced to inherit the artificial borders just to please their masters in the pretext of fear of war that will befall upon them if they do the contrary, except few who took arm and fought but still at last inherited the same share of the cake. These artificial borders they had inherited had been drawn by the European powers who divided the continent according their Marge of in interest in the Scramble of 1880’s. These artificial orders which scramble Africa cut through ethnic groups, dividing peoples and even families. The colonial powers threw together men and women who had differences of language and religion. The dilemma of the then Africa’s leaders were to decide to accept these frontiers- believing that if they reject them it will set every new country against each others throat. But to this day the continent has been victim of the heritage of such wicked misgivings. The 9th January referendum of Southern Sudan is the beginning of the end of these artificial frontiers leading to the eventual unity Africans in respect and reciprocity to one another. In the 1960 the founders of pan Africanism thought that the independence and the unity of the Africans would come with unconditional unity in the post independence period. This has proved wrong the last 50 years. It is now a new era where the colonial boarders will fall and people will unite regionally once they are out of these colonial paradigm like Southern Sudan Starting 9th of January 2011. These news working principles must not be based on colonial heritage but on African traditional historical back grounds. The same principle could be applied to stop the looming Nile war in the riparian states. The leaders of the 9 Nile countries , rather than fighting for the equitable share of the Nile waters based on colonial pact or arguing on rejected regional agreement made by one group against the other (Sudan &Egypt) rather open their doors and go to a referendum leading to regional confederation if they could not make an outright unity right now. This will create a new strong region surpassing the forces of division inherited from the scramble of Africa. The Horn African dictators are kept in power by robbing their people and staking the national revenue in the international safe heavens- The most notorious are Melese Zenawi of Ethiopia and Omar al- Beshir of Sudan. They both war mongers and are killing their people in mass with the complicity of these bankers that indirectly responsible for the starving and disappearing of millions of innocent in the Horn of Africa. WikiLeaks just started the truth to come to light which was known by the silent majority. Omar al-Bashir, the Sudanese president, has siphoned as much as $9bn out of his impoverished country, and much of it may be stashed in London banks, according to secret US diplomatic cables that recount conversations with the chief prosecutor of the international criminal court. 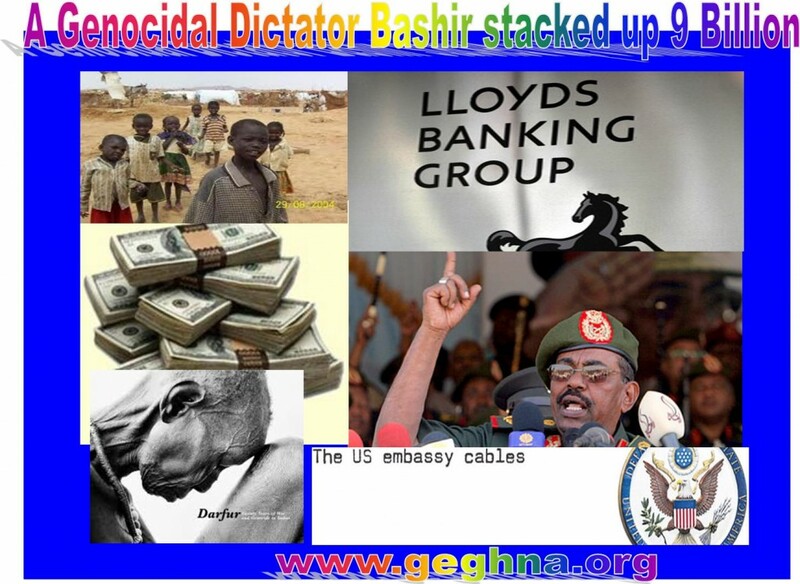 Some of the funds may be held by the part-nationalised Lloyds Banking Group, according to prosecutor, Luis Moreno-Ocampo, who told US officials it was time to go public with the scale of Bashir’s theft in order to turn Sudanese public opinion against him. • US officials regard European human rights standards as an “irritant”,criticising the Council of Europe for its stance on secret rendition of terror suspects. • Diplomats believe judges in the war crimes trial of the Liberian ex-president Charles Taylor have been deliberately causing delays to ensure the only African judge is presiding when the verdict is delivered. The cables were released as the WikiLeaks editor-in-chief, Julian Assange, accused the US of mounting an aggressive, illegal investigation against him. “I would say that there is a very aggressive investigation, that a lot of face has been lost by some people, and some people have careers to make by pursuing famous cases, but that is actually something that needs monitoring,” he told reporters outside the mansion on the Norfolk/Suffolk border where he is staying while on bail. Assange has repeatedly asserted that he is the victim of a smear campaign. The Guardian today publishes the first full account of the allegations made against him by two Swedish women based on previously unseen police documents. If Ocampo’s claim about Bashir’s fortune is correct, Sudanese funds being held in London banks amount to one tenth of annual GDP inSudan, which ranks fifteenth from bottom in the UN’s index of the world’s poorest countries. Ocampo discussed evidence of the stash with the Americans just days after issuing an arrest warrant for the Sudanese president in March 2009, the first issued by the court against a serving head of state. Bashir was indicted for seven counts of war crimes and crimes against humanity last year with a further three counts of genocide added in July. Ocampo, who has never released details of the alleged funds, was severely criticised for the indictment by many in Sudan and internationally amid criticisms the move would inflame fighting in the southern Darfur region. Despite the humanitarian crisis in Sudan, Bashir has remained popular among many others in the country, particularly those who have benefited from the oil boom brought about during his presidency. A spokesperson for the Sudanese government dismissed the claim, describing it as further evidence of the ICC’s political agenda in discrediting the Sudanese government. “Attempts to smear not only Bashir but Sudan as a whole are well known, and are clearly linked with anti-Arab sentiments and Islamophobia,” Mubarak added. In a remarkable series of exchanges, the cables also reveal how Sudan’s mineral wealth had a direct bearing on the ICC proceedings against Bashir, as China balked at action against him that could harm its interests in the oil industry. “Ocampo said China, as long as it continues to have oil concessions in Sudan, does not care what happens to Bashir,” one cable states. In another cable dated March 2008, a senior French official noted “growing Chinese concern about possible north-south fissures in Sudan and the possibility that its oil interests could be threatened”. “The Chinese were beginning to see more clearly that Sudan’s behaviour towards Darfur and Chad could only increase the possibility of a north-south rupture will a possibly severe effect on China’s stake in the oil sector,’ the French are reported to have said. In return, the Chinese expressed “puzzlement” that the French – a member of the ICC and able to influence the deferral of proceedings against Bashir – supported Ocampo’s decision to pursue the Sudanese president, given France’s oil interests in the region. “[The Chinese] observed French companies have oil interests in Sudan as well as Chad,” the Americans stated. France ultimately supported Bashir’s indictment, but the cables suggest this was deliberately calculated to protect their oil interests. The French told the Americans they believed that firm action on Darfur was the only way to protect oil interests. Both French firm Total and China, through affiliates of its state-owned China Petroleum and Chemical Corporation, have substantial oil concessions in Sudan, which currently produces 500,000 barrels of crude oil per day . Omar al-Bashir, the Sudanese president, is suspected of siphoning off $9 billion from his country’s oil boom and depositing much of it in British banks, according to a leaked US diplomatic cable. A part-nationalised British bank has said there is “no evidence” to back claims exposed in leaked US diplomatic cables that Sudan’s president may have stolen £5.8 billion from his country and deposited it in London. A document among tens of thousands released by the WikiLeaks website reported the chief prosecutor of the International Criminal Court asserting that Lloyds Banking Group “may be holding or knowledgeable of the whereabouts of his money”. In the cable, a US official says that Luis Moreno-Ocampo discussed the possible stash of money days after issuing an arrest warrant for president Omar Bashir, who has been indicted by the ICC on several counts of war crimes and genocide. A Sudanese government spokesman told The Guardian – which has been publishing the WikiLeaks material – that the claim the president had taken the cash was “ludicrous” and attacked the motives of the prosecutor. Lloyds insisted it was not aware of any link with Bashir. “We have absolutely no evidence to suggest there is any connection between Lloyds Banking Group and Mr Bashir. The group’s policy is to abide by the legal and regulatory obligations in all jurisdictions in which we operate,” a spokeswoman said. In the cable reporting the conversation, the US official wrote: “Ocampo suggested if Bashir’s stash of money were disclosed (he put the figure at $9bn), it would change Sudanese public opinion from him being a ‘crusader’ to that of a thief. Dr Khalid al-Mubarak, spokesman at the Sudanese embassy in London, told The Guardian: “To claim that the president can control the treasury and take money to put into his own accounts is ludicrous. It is a laughable claim by the ICC prosecutor. Ocampo is a maverick, and this is just part of his political agenda. “Attempts to smear not only Bashir but Sudan as a whole are well known, and are clearly linked with anti-Arab sentiments and Islamophobia,” Dr Mubarak added. Sudan is a country that a drama of genocide and human slavery is being enacted from its foundation in a manner that should revolt all civilized people extending to the 21st century. This in human practice is expected to end at least in the South, on the 9th of January, 2010. This barbaric border is traced to stop at the town of Abyie, where the Slave Bar is set since immemorial time. The Protocol put Abyei into a special administrative status government directly by the presidency and the precise borders of the area were to be determined by an Abyei Borders Commission (ABC), followed by a referendum commission to identify Messriya that are resident in Abyei and could thus vote in local elections in 2009; all the Ngok Dinka once the slaves of Messeriya were recognized as resident as Abyie being their traditional homeland. The cattle and once slave riders were considered only as residence with limited rights which they off course contested. Never has in history a slave master loosen his grip peacefully. In 2009, the Permanent Court of Arbitration (PCA) redrew the boundaries of Abyei, ceding key oilfields to north Sudan but gave the South most of the land including Abyei town which has huge areas of fertile land and one significant oilfield, which antagonized the existing mistrust between the Arbo- Islamic North and the Afro Christian animist South. The Christian Southerners have been for centuries abused by the Northern Arab Slave riders. Abyie has incarnated the century old conflict between the two. The fate of Abyei is set to be decided in the coming vote of January 9, 2011 with the rest of the referendum with Southern Sudan. Abyei is due to decide whether it wants to become part of the south or remain with the north slave riders based on the compressive agreement 2005. In 2005 Abyie was considered as a special case to be treated separately, understanding the delicacy of the problem between the master and the Slave. The borders have yet to be demarcated to comply with the court’s verdict because of threats leveled by the Misseriya tribe. The Misseriay are known slave traders and cattle headers in the past. It is here in Abyei where the two people frequent one another, those Slave traders of the North and the Southern victims of the in human commerce once upon a time. Today’s the north Arab is incarnated by the Misseriya and the South Africans by Dinka Ngok tribesmen in Abyei as once a flourishing center of Slave trade. The later has been victim of slave trade for centuries even shamefully continuing to this day. Recent accusation of Hassan Musa, one of the leaders from Misseriya tribe, the SPLM of undermining their rights to participate in the upcoming vote in Abyei has already prepared the upcoming conflict. “We do not have any serious issue with brothers and sisters from Dinka Ngok which cannot be resolved. We have lived with them for over two decades as one and the same people until the SPLM signed peace agreement with the government,” said Musa. The leadership and general union of the Misseriya tribe recently accused the Sudan People’s Liberation Movement (SPLM), who controls southern Sudan, of undermining their right to participate in the upcoming referendum vote. Abyie conflict is set to disrupt the whole of the Horn of Africa a main source of conflict set to explode on the day of the referendum engulfing the rest of the region into wanton war and destruction. Furthermore, the conflict will drag not only the regional actors but also the international interest groups in the exploiting the black gold in Abyie who have in any way to end the shameful human trade. The populations of Abyei are supposed to vote early next year on whether it wants to be part of North or Southern Sudan in a vote parallel to the south voting on whether it wants to secede from the north. Surely the African population of Abyie will vote to join their brothers of the South not of their slave masters the North advocated by the Misseriya minorities. Khartoum’s Genocidal regime has employed and financing in Darfur the the Arab Janjaweed militia – who are “cleansing ” black Africans from large swathes of territory. Some 2.7m people have fled their homes during the seven-year conflict in the western region of Darfur and the UN says about 300,000 have died. Slave riders in the West, Misseriya in the South and the LRA (Koni) mercenaries of Uganda are set to completely destabilize the region. The momentum of the conflict will reach it apex and is set to explode on the day of the vote if Abyie is allowed to participate on 9th of January 9, 2010 as a day that officially slave trade will cease to exist in Sudan. The Misseriya tribe said they would not create instability but will use all masters. “We do not have any intention to create instability in the area but we will not compromise our rights as Misseriya whatsoever,” Muse said blaming the SPLM of working against their rights. He said that what the SPLM opposes is the inclusion of Misseriya to vote in the referendum. He knows in advance their position. The referenda for the status of Abyei and south Sudan were agreed as part of the 2005 Comprehensive Peace Agreement (CPA) between the SPLM and NCP. “The water and grazing rights of the Misseriya in the area as stipulated in the CPA and in the ruling of the permanent court of Arbitration have not been undermined,” said Agok, who is the acting of the SPLM chair in the area. “They are the only people with residents of Abyei as mentioned in the CPA accorded full rights to vote at the referendum without any reference to Misseriya,” he said. Abyei was transferred from southern Sudan into South Kordofan, which is part of northern Sudan, in 1905 by Britain who were the colonial power until Sudan gained independence in 1956. The October 2010 talks in Addis Ababa between the NCP and SPLM on Abyei collapsed due to the pro Khartoum government of Ethiopia working against the independence of the south by seeming discord among each other in the background rather than assuring the end of Slavery in the south. Southerners in Abyei declared officially that they will not accept any proposal demanding renegotiation of the Abyei protocol signed in 2005 to end slavery definitively by voting for the referendum. The Messeriya Slave owners wanted to be able to vote in the Abyei referendum and accused the SPLM of denying them their rights. SPLM refused the Messeriya should be able to vote and their rights were already agreed in the Comprehensive Peace Agreement (CPA) between the SPLM and NCP in 2005. “All rights including that of Messeriya to seasonally move freely in the region with cattle and access grazing and water areas have been defined. Their rights according to the CPA are limited to water and grazing rights not to vote and continue to hold slave from the south. The only viable solution for the Southerners including Abyie is to vote for freedom on the 9th of January2011 and trace in the same token the coming destiny for the Independence of Darfur from the genocidal regime of Khartoum too. Will January vote bring war or peace to south Sudan? LRA, known as the Lord’s Resistance Army, is a the most bloody War Lord Africa ever known since the Mao Mao movement in Kenya in 1960’s. LRA is financed and armed by the Sudan. It is working for the government of Sudan as a proxy since its inception in 1986. This is done in oppostion of the Uganda’s support to the Southern Sudan Liberation Movment led by the late John Grang. It was founded by Alice Lakwena initiated with witchcraft and spiritualism. In 1986 she established LRA as a resistance movement and claimed to be inspired by the Holy Spirit of God calling herself as the keepers of the 10 commandment. She portrayed herself as a prophet who received messages from the Holy Spirit of God. She wanted to defeat the government run by Museveni by magic casting . she ordered her followers to cover their bodies with shea nut oil as protection from bullets, and invite them not to take cover or retreat in battle, and not to kill snakes and bees. Joseph Kony now the leader followed her methodology by using the same superstition encouraging soldiers to use oil to draw a cross on their chest against bullets. Kony gained a reputation as claiming he is possessed by holy sprit. He claim being a medium. Alice Lakwena won many battles against Musuveni government in Kampala. several key victories on the battlefield and began a march towards Kampala. Kony seized this opportunity to recruit members of the Ugandan People’s Democratic Party (UPDA) and Holy Spirit remnants. She was finally defeated1997 in Jinja and escaped to Kenya, since Kony took the leadership. The Movement has spread in all central Africa menacing the stability of the region like Al- Qaida in Afghanistan and Pakistan now in Yemen and Somalia. Today LRA is menacing the coming referendum in the South bought by its masters in the north. To remove dictatorship and stop the oppression of our people. To fight for the immediate restoration of competitive multi-party democracy in Uganda. To see an end to gross violation of human rights and dignity of Ugandans. To ensure the restoration of peace and security in Uganda. August 27, 2010 (NIMULE) – The Lord’s Resistance Army could attempt to re-enter Uganda through southern Sudan according to a former aide to Uganda’s President Yoweri Museveni. Richard Todwong, told Sudan Tribune that an attempt to re-enter Uganda via Sudan and Democratic Republic of Congo (DRC) from the LRA’s base in Central African Republic (CAR) could undermine the Southern Sudan’s quest for independence. The former aide to Uganda’s President Yoweri Museveni said that such a move by could easily be employed as a scapegoat to destabilize the population in the south ahead of their preparations for the forthcoming referendum. The LRA, led by Joseph Kony, has carried out a brutal insurgency across Uganda, south Sudan, CAR and DRC since 1987, has been accused receiving military assistance from the Khartoum government. Todwong said that the LRA could easily be used as a scapegoat to destabilize the south ahead of a referendum on independence due in January. The referendum on self-determination is a key requirement within Sudan’s Comprehensive Peace Agreement (CPA); between the dominant parties of the north and south, which ended over two-decade civil war. “The LRA now appear to have been a forgotten force, but they may be planning to re-launch new attacks on civilians as they plan to re-enter Uganda through South Sudan or the DRC,” Todwong said. “Such a move is likely to disorganize the population in the south especially at this time when they referendum preparation[s] are ongoing. Of course not ruling [out] the fact that they [the LRA] could also be used as scapegoats by those opposed to southern independence,” he added. On August 10, Enough, a campaigning organization, warned of a renewed plot by the rebel outfit to re-enter Uganda next year. Founded in 2007 to advocate for an end to genocide and crimes against humanity, Enough focuses on the crises in Sudan, eastern Congo, areas affected by the Lord’s Resistance Army and Somalia. The report said that since the attempt to destroy the LRA in 2008 – Operation Lightning Thunder – the LRA has been gaining ground in strategic areas which can be used to re-enter northern Uganda. “The LRA’s behaviour in Bas Uele [district in northeastern DRC], and more widely in Congo, indicates a well-developed strategy focused on maintaining a presence in Congo that enables cross-border activity in CAR, Sudan, and potentially a route back to northern Uganda via Garamba National Park,” the report says. The report further found that throughout 2009, the LRA has fought to turn Bas Uele into a safe haven. “Kony seemed aware of the strategic importance of Bas Uele and sent LRA groups to Banda immediately after Operation Lightning Thunder. On December 16, 2008, two days after the Ugandan army bombed LRA bases in Garamba, Kony met with most of his commanders, according to former LRA fighters. He ordered retaliatory attacks to be carried out and assigned his most important commanders to control various areas in Congo and Sudan,” the report said. Todwong said certain laws within the semi-autonomous region needed to be harmonized in order for southern Sudan to become a part of the East African Community (EAC); a regional body currently comprising of Uganda, Kenya and Tanzania. “The regional integration involving Southern Sudan is a welcome idea, but certain issues like the customs union and immigration laws, which are still under Sudan as a country will have to be changed to fit the south once its independent,” he observed. “Once this is achieved, then EAC member countries will review the laws and see if they are in harmony with each other”, he said. Nzara, Sudan (CNN) — Albert Abuda might never see his children again. Long-haired, dirty men emerged from the dense bush around his village one day. They spoke a language he did not understand, fighting in a conflict equally as foreign and incomprehensible. They were members of the notorious Lord’s Resistance Army, or LRA. They left with more than the year’s harvest. His son is now likely training as a ruthless guerrilla warrior, and his 13-year-old daughter might be forced into commanders’ harems. Meanwhile, Abuda wastes away in a makeshift camp with others telling similar tales and living on the generosity of nearby villagers who sometimes provide cassava leaves to boil. “Since I arrived here, life has become miserable to me. As you can see, my body keeps shrinking because there is no proper food,” he said in the town of Nzara in Southern Sudan, where he and the rest of his community have fled. The LRA, which follows the self-proclaimed spiritual powers of leader Joseph Kony, arose as a rebel movement in the late 1980s among the Acholi people of marginalized northern Uganda. But Kony and his men are no longer in Uganda, and little remains of any group ideology. Instead, the LRA are known for their seasoned survival skills and brutal tactics of terror, roaming within a weakly-governed nexus where Democratic Republic of Congo, Central African Republic, and Sudan’s autonomous region of Southern Sudan meet. Although forced to adjust to life on the run, little else about its tactics have changed. Known for hacking off the lips or ears of victims, the LRA kills without remorse, leaving behind a scattered trail of missing children, looted villages, and burned huts. Its bands of bush fighters now appear and disappear across the three troubled nations, traveling in elusive small groups and ravaging local communities for food, clothes, and medicine. They also seek another sort of booty. No longer able to recruit for an armed movement that long ago lost a coherent goal, Kony’s men must replenish the ranks through alternative means. The New York-based advocacy group Human Rights Watch estimates the group has abducted 700 people — a third children, like Abuda’s — in the last 18 months. The group’s victims are flooding the region as hapless squatters. Those who cross the area’s porous international borders are fortunate enough to receive some help from the United Nations as refugees, but a loophole in international humanitarian law means that Abuda and the 25,000 other southern Sudanese internally displaced by the LRA this year are left mostly to fend for themselves. Any end to the conflict appears as distant as ever. Internationally-sponsored peace talks collapsed in 2008, and Kony appears wary of taking his chances with terms of surrender. The International Criminal Court at The Hague has put out an arrest warrant on his head, indicting the Ugandan warlord on 33 charges of war crimes and crimes against humanity. Amid youthful anti-LRA lobbying in Washington, President Barack Obama signed a law in May giving his administration 180 days to complete a new strategy for ending Kony’s reign of terror and protecting civilians in the LRA’s wake. Here in Southern Sudan’s fertile Western Equatoria state — where LRA activities have turned the region’s breadbasket into a hungry community relying on outsiders for help — there is confusion among officials as to what the new legislation means. “Up to now the international community has left us alone to fight this war imposed on us,” he said. Local county commissioner Elia Richard Box says that financial support is what he and other authorities could use most. “Apart from money, I don’t know what the international community can do,” he said. If funds are provided, there is no guarantee the aid would find its way here. Financial oversight is poor in Southern Sudan’s nascent government, which came to power in a 2005 peace deal after a 21-year rebellion of its own. The Southern Sudan army, the SPLA, is still learning how to operate as a professional military and is focused on a number of other internal and external threats as well. Instead, the Southern Sudan government is relying on the assistance of neighboring Uganda’s military, the UPDF, to do most of the chasing of the LRA themselves. Even if Kony is finally killed or captured, hundreds of former abducted boys have now grown into men. They have learned to operate in mostly autonomous cells far distanced from their leader, and know no life apart from their guerrilla existence. Abuda, appearing thin and weary, most now live with the knowledge that his son and daughter could soon grow up into Kony’s next generation of followers. The 2005 Sudanese Comprehensive Peace Agreementt (CPA) ignited the long awaited vision to self-determination in the Greater Horn of Africa subgegated and colonially divided people of Africa. CPA is hope and victory against slavery and religious extremism in Africa. The southerners have been victims of an abolished slavery in 21 first century. They merit to determine their future in their own hands. They are not fighting for self determination only but also for the eradication of slavery from the last bastion of the institution in Sudan. As Kampala hosts the African Union (AU) summit the question remains: Is Africa neutral with regard to the unity of the Sudan? AU chairman Jean Ping put it clearly during Africa Day last May, with due respect to the outcome of the coming referendum, that AU favours ‘making unity attractive,’ and cautioned against possible southern Sudan independence in 2011. CPA weakened many dictators who are submitted to the international justice led by the International Criminal Court (ICC) through some international pressures by organiztions line Genocide Watch giving hope to regions of post colonial countries of scrambled continent a hope of self-determination though referendum. International pressures took place in some channels after the ICCIndictment and the issuing of the arrest warrants against Omar al Bashir, the leader of the dictatorial regime in Sudan and some gangs in the Darfur Rebels who committed war crimes in the western region of Darfur. Soon Ethiopian and another dictators will follow having regions fighting and claiming self determination. Somaliland would be the next candidate for international recognition to put a silver lining to find a lasting solution of Somalia. The AU believed that the southern secession would set a dangerous precedent for Africa. This position was expressed by many African leaders, particularly by Idris Deby of Chad and Isaias Afewerki of Eritrea after assuring his own independence in 1991. The Group of African Ambassadors at the United Nations held a meeting last month at the AU mission in New York, in the presence of the panel’s chairman, Thabo Mbeki, and called upon the Sudanese people to benefit from the historic experiments and dedicate efforts to bolstering unity through a strong support from Africa. The Sudanese Comprehensive Peace Agreement consists of the Machakos Protocol, the Power Sharing, the Wealth Sharing, the Resolution of the Abyei Conflict, the Resolution of the Conflict in the two States of Southern Kurdufan and Blue Nile, the Security Arrangements, the Permanent Ceasefire and Security Arrangements Implementation Modalities and Appendices, and the Implementation Modalities and Global Implementation Matrix and Appendices. CPA will voile for the first time the historical position which is is not in any way circumstantial but and in retrospect, a rather a systematic and principled position that streamlines and concords with that of the founding fathers of OAU, for whom the inviolability of states boundaries remained an article of faith. This was manifestly reflected in their firm rejection of almost all secessions bids in Africa in Nigeria, Congo, Somalia or elsewhere. The Comprehensive Peace Agreement signed by the late Dr. John Garang de Mabior, the Chairman of the Sudan People’s Liberation Movement/Army (SPLM/SPLA) and Ali Osman Mohammed Taha, First Vice President of the Republic of Sudan. Many African leaders on behalf of the Intergovernmental Authority of Development (IGAD) witnessed it with other representatives of the regional authority. The other witnesses from the area included representative of the League of Arab States and the Chairman of the African Union and the Egyptian Minister of Foreign Affairs. The Au leaders had accepted in 1964 though mindful of the artificial frontiers drawn by imperialist powers, meant to divide the peoples of Africa, our founding fathers were keen to deny the colonialists a chance to reap any fruit for their divide and conquer policy; by denying secessionists legitimacy. However, if secession is to prevail, and the post-referendum negotiations have started, let us concur on appropriate benchmarks and measures that would guarantee a peaceful transition. At the same time, try to draw a roadmap for an understanding that would pave the way for a near future reunification. Representatives from the international political powers included the Italian Deputy Minister of Foreign Affairs, the Special Envoy of the Netherlands, the Norwegian Minister of International Development, the British Secretary of State for International Development, the United States Secretary of State, the Representative of the European Union. Paradoxically, Malik Agar, the deputy chairman of the SPLM and the governor of the Blue Nile State, was fiercely attacked and incriminated recently for being true to the CPA, calling for the unity of the Sudan. Indeed there is widely held concern that secession shall make the south more susceptible to yet more violence or even further secessions. Relations between and within communities and regions in the south remained strained by competition for natural resources such as water, grazing land as well as by cattle raiding, local power rivalries and disputes. Southern Independence is not what the Khartoum government is definitely aspires for. The government, while dauntlessly launching a massive campaign for unity of the Sudan, affirms now and again that the decision of the southern Sudanese people will be respected regardless of the outcome of the 2011 referendum. Simply applying cost-benefit analysis in the current circumstances indicates that unity remains at its worst scenario a lesser evil. Sudanese unity is not beyond repair; let us agree on new viable institutional formula that may keep unity intact for the sake of Sudan and Africa at large. the Referendum in Southern Sudan IS NOT Good at this Time! Bashir wins Sudan election. Now what? Sudan President Omar al-Bashir today flew to Chad on his first visit to a full member of the International Criminal Court (ICC) since his arrest warrant was issued. He left amid a severe crackdown on press freedoms at home. Buoyed by a win in the disputed Sudan election in April, President Omar Al Bashir continues to thumb his nose to critics at home and abroad, jailing journalists and challenging an arrest warrant for war crimes and genocide. Mr. Bashir today flew to neighboring Chad on his first visit to a state member of the International Criminal Court since he was indicted in March 2009 for war crimes and crimes against humanity. The ICC ruled July 12 that Bashir is now also wanted on genocide charges. The ICC has requested that any member, including Chad, arrest Bashir upon arrival in the country. His controversial visit comes a week after his government handed prison sentences to three Sudanese journalists for writing articles that suggested Bashir lacks popular support and that a Sudanese factory is making weapons for Iran and Hamas. The prison terms, which range from two to five years, are the latest development in a crackdown on local media that began after Sudan’s national elections. The crackdown is a stark turnaround from Bashir’s decision in September 2009 to lift the government’s pre-publication censorship of newspapers. The decree was a small concession to Western pressure to create free and fair conditions for Sudan’s first democratic election in 24 years. But Bashir’s victory in the April polls, after most major opposition parties boycotted the vote, gave his ruling National Congress Party (NCP) almost total control over the institutions of the state, and the new government rapidly moved to shut down several newspapers. On July 6, the government resumed pre-publication censorship across the board, limiting freedom of expression beyond what it was before the pre-election period. The three recently jailed journalists all worked for Rai al-Shaab, a newspaper of the opposition People’s Congress Party (PCP). Two weeks after Bashir’s election, the government’s ubiquitous internal security agents arrived at the newspaper’s office in Khartoum, arrested four journalists, and shut down the paper. The next day they arrested PCP leader Hassan al Turabi, who was imprisoned for 45 days before being released without charge. Mr. Turabi says he was surprised by the government’s actions. “I thought they would want to appear democratic for a while – at least to put on a show for the West,” he says. A few days later, pre-publication censorship resumed on three other papers. As the squeeze on opposition voices tightened, it became clear that the ruling regime had no concern about keeping up appearances. “Immediately since they came back to power, they believe they cannot be touched,” says Salih Mahmoud Osman, a human rights lawyer and member of the Sudanese Communist Party. Mr. Osman believes that the international community’s acceptance of the election results, despite the admission that they were flawed, has emboldened the regime. Other newspapers have been given a choice to either remove sensitive content or cease publication. The computer room of the Sudanese Communist Party’s Al Midan newspaper is a veritable hive of activity for a paper out of circulation for more than a month. On June 6, security agents demanded the right to censor Al Midan’s work before they sent it to the printing press. Al Midan’s editor refused, citing the freedom of expression guarantees in Sudan’s internationally sponsored Interim Constitution. But with security agents stationed at the printing press, he could not get his paper published. Since then, Al Midan journalists have continued to come up with a paper three times a week. Each time, they send it to the printing press, and each time it gets sent back. But they are finding other ways to get their message out. Using a dusty old printer, the Al Midan staff produce 15 black-and-white copies, which they staple together and distribute to civil society groups in the area. And they are also managing to publish on the web. While the government sometimes blocks their website, journalist Mohamed Al Fadih says that the government’s web censorship is “not very sophisticated.” There is a bigger constraint looming, however. With no actual paper to sell, there is no money for staff salaries. The latest wave of censorship also targets newspapers that are not affiliated to a political party. “It’s really very serious. We don’t know when they will close us down,” says Alfred Taban, editor of the Khartoum Monitor, which was also placed under pre-publication censorship this month. With 50 staff to pay, Mr. Taban has not accepted the effective ban that would result if he refused the censors. So each night, at about 8 p.m., security agents come to the Khartoum Monitor office, demanding to see the next day’s copy and removing whatever they don’t like. Mostly the journalists scramble to replace the prohibited articles with less sensitive material or with photographs. Some nights, the need for a small act of defiance wins out, and the journalists leave half a page empty, “to show our readers we are under censorship,” Taban says. Before the elections, journalists say that the government’s main “red lines” were the publication of articles on the International Criminal Court’s case against the Sudanese president, and on the conflict in Darfur. Now though, the government has a bigger concern – the unity of the Sudanese state. In January next year, the people of southern Sudan will have a referendum on whether they want to become an independent nation. The right to self-determination was granted to southerners in a 2005 Comprehensive Peace Agreement between the NCP and the main southern political party, the SPLM. In theory, both parties were supposed to spend the six years until the referendum making unity an attractive option. In practice, neither have done so, and there is a widespread belief that next year’s vote will see Sudan split in two. Mariam Sadiq Al Mahdi, spokesperson for the opposition Umma Party, says the NCP cannot afford secession for two reasons. The first is the ensuing loss of resource-rich southern land. “The government budget is more than 60 percent dependent on oil, mainly from the south,” she says. Second would be the historical stigma on Bashir’s government: “They took over a unified country and then it was divided under their rule.” At the eleventh hour, the NCP is trying desperately shift course – less by actually making unity attractive to southerners, and more by repressing anyone who speaks of secession. Ministry of Information advisor Rabie Abdul Atti says that it was journalists who forced the government to resume pre-publication censorship, by writing articles in favor of secession. With just six months until the referendum, what matters now is unity. According to Dr. Atti, articles about the ICC or Darfur are no longer a serious concern for the government. Apparently, it’s also of no concern to ICC member state Chad. The mayor of the capital, N’djamena, presented Bashir with a key to the city upon his arrival today. This article was supported by funding from the Pulitzer Center on Crisis Reporting. Part 1: Why does Sudan have so many wars? Part 2: Why is President Omar al-Bashir accused of war crimes in Darfur? 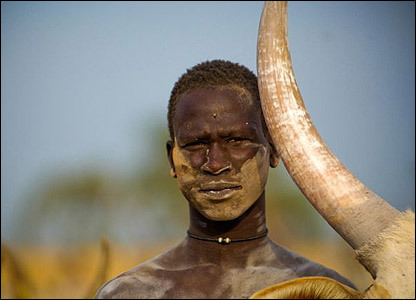 Part 3: Is the Darfur conflict a fight between Arabs and black Africans? Part 4: What is the Darfur war about? Part 5: Could the war over South Sudan spark up again? Part 6: Could Sudan’s oil resources solve its problems? JUBA/KHARTOUM, 23 April 2010 (IRIN) – This month’s chaotic elections have widened divisions within the Sudan Peoples’ Liberation Movement (SPLM), according to analysts, who warn of risks to a referendum on southern secession, to future relations between two potentially independent states, and to the very stability of Sudan as a whole. The January 2011 referendum, which will give southerners the opportunity to form a new independent country, is one of the most important provisions of a 2005 accord (CPA) that ended decades of war between Khartoum and the southern-based SPLM insurgents. The peace deal has entered its final stage, but its southern co-signers could be entering a critical final chapter as well, with wide-ranging implications. “Southerners have reason to celebrate being able to vote, but the rancour and divisions within the SPLM are growing just as it needs to pull together,” warned the latest Small Arms Survey report. “If half the resources and energy – both Sudanese and international – had gone into reconciliation activities as have been devoted to “democratization”, Sudan’s future might seem more promising,” the report from the Geneva-based research group said. “I think this process has had serious implications for the SPLM at a moment when it really can’t afford to be divided,” said Maggie Fick, a Juba-based Southern Sudan researcher for the Enough project, a US advocacy group critical of Khartoum. The most visible of the fault lines running through the SPLM, and perhaps most relevant to the future of all Sudanese, lies between its northern and southern wings, or “sectors”. For years, the two have pursued different, but supposedly complementary goals: the northern sector has worked to unite opposition forces against the Khartoum government to forge a so-called “New Sudan”. The southern sector has been more involved in achieving varying degrees of self-determination for the long-marginalized south, for Abyei (an oil-rich county which straddles the north-south border), and for the states of Southern Kordofan and Blue Nile, which although lying on the northern side of the border, fall under the aegis of the SPLM’s southern sector. 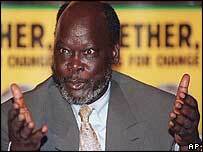 The two sectors have co-existed since the late SPLM leader John Garang established them in 2005. But as the New Sudan focus dimmed following Garang’s death that same year – and as the prospects of southern secession grew sharper – the party’s twin movements appeared increasingly disjointed. During the lead-up to the elections – critically important for the northern sector, but seen by some in the south as little more than a bump on the road to the referendum – strong disagreements between the two camps broke into the open. Amid growing complaints that the co-governing National Congress Party (NCP) had rigged the elections in advance, SPLM Secretary-General Pagan Amum, seen as sympathetic to the northern sector, promised in late March that the SPLM would join other opposition parties should they announce a total boycott of all the polls in the north – presidential, legislative and gubernatorial. But after a meeting chaired by Salva Kiir, the president of Southern Sudan’s autonomous government, the SPLM announced it would only pull out of the national presidential race and from polls in Darfur. Buoyed by protests from SPLM gubernatorial candidates in the north, Amum then later declared that the northern sector was pulling out of the elections altogether. Kiir refused to endorse this move. For his part, Yasser Arman, head of the party’s northern sector and, until his withdrawal, its presidential nominee, played down talk of an election-related split between him and Kiir. “We go way back, and we have a very strong relationship,” Arman told reporters. “This is very dangerous for Sudan’s stability,” said Hikmat, who thinks a new rebellion could arise from the ashes of the SPLM’s northern wing and that it would be joined by SPLM elements in Blue Nile and Southern Kordofan. Many in these states are disgruntled at having been fobbed off – as part of the CPA negotiations – with a vague “popular consultation” instead of also being given the option to secede in a proper referendum. “Self-determination calls will rise in the rest of Sudan if the south secedes and a new northern movement is created with an alliance of armed groups in the Blue Nile, Southern Kordofan, Darfur and eastern Sudan,” he said. Fick fears the implications of an SPLM split for the south, where she said any national divisions could weaken the party’s bargaining position. A range of contentious issues relating to the CPA and the referendum are up for discussion between the SPLM and CPA over the coming months. Some, such as the demarcation of the north-south border, need to be resolved before the referendum can take place. Others relate to how a future independent south and Khartoum would work together. These include how they would share their oil revenue and other resources, their international debts and their infrastructure. “This is a time when unity within the SPLM is totally essential if they are going to succeed in negotiations with NCP,” Fick said. Also up for grabs is political space within the south itself. “If elections and the referendum are conducted as planned, there will be a new political dispensation in the South, and anything could happen,” said a December 2009 report from the International Crisis Group. Tensions between the SPLM and former party members who ran as “independent” candidates for state governorships – powerful positions that control access to often lucrative resources – threaten to boil over. Allegations of vote rigging have already arisen in four different states – Unity, Northern Bahr al-Ghazel, Western Equatoria, and Central Equatoria – where strong challengers are contesting against the SPLM nominees, and in some cases victory has already been declared well ahead of any official compilation of results. Some fear such electoral bickering could quickly degenerate into something far more serious. The South has a long history of inter-ethnic conflict, with many groups used as proxy forces by Khartoum during the war. Many of these militias, still controlled by powerful political figures, were never properly demobilized or fully re-integrated into the official standing armies. “Among the Khartoum-backed militia members who subsequently declared allegiance to the SPLA [Sudan Peoples’ Liberation Army], long-standing grievances against the Southern army and the GoSS [Government of Southern Sudan] remain,” said the Small Arms Survey. Quite apart from southern electoral politics, and allegations of the north and southern factions deliberately destabilising areas for political ends, relations between and within the varied communities and regions in Southern Sudan are often strained by competition for natural resources such as water, grazing and land; as well as by cattle-raiding, local power rivalries, disputes over marriages and vendettas. 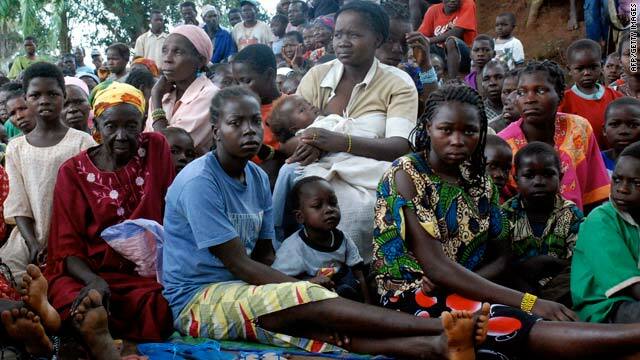 In 2009, inter-ethnic clashes claimed more than 2,500 lives in Southern Sudan and displaced almost 400,000 people. At least 400 have died so far in 2010, displacing some 60,000, according to the UN. “The SPLM needs to put a lid on the instability, or else the NCP could use it as an excuse to try to postpone the referendum, and if that happened, the SPLM has threatened to unilaterally declare independence,” warned Claire Mc Evoy, manager of the Survey’s Sudan project and co-author of the report. “That could easily lead to another armed conflict between north and south,” she added. THE ELECTION of Sudan’s President Omar al-Bashir in the country’s first multiparty election in 24 years was the foregone conclusion to a race that had precious little democratic credibility. In truth, it was merely a sideshow ahead of a referendum scheduled for January which, if it happens, is likely permanently to divide the country in two through the almost inevitable secession of the south. 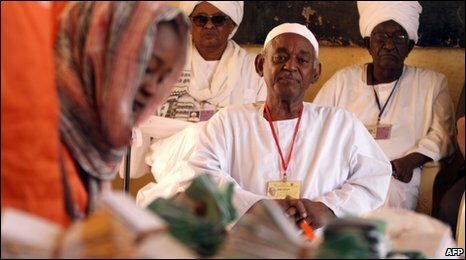 Mr Bashir, who seized power in a coup in 1989 and is currently wanted by the International Criminal Court on charges of crimes against humanity in Darfur, received 68 per cent of the vote, though international observers said the election was marred by intimidation, gerrymandering and fraud. Before the voting started in mid-April, several of the top opposition parties abruptly dropped out of the electoral race, leaving the path clear for Mr Bashir. In southern Sudan, Mr Bashir’s scarcely more democratic counterpart, Salva Kiir, prevailed as well, winning 93 per cent of the vote to remain president of the semi-autonomous region. He is leader of the Sudan People’s Liberation Movement which has led the fight for secession for decades through two bloody north-south civil wars, and is now the junior partner in the national government under the terms of a 2005 peace treaty. The north is predominantly Muslim, while the south, a third of Africa’s largest country, is mainly Christian and animist and bent on independence since Sudan itself became independent in 1956. The treaty commits both sides to the referendum but Western powers fear a reluctant Mr Bashir may have second thoughts, and observers suggest their restrained silence over the dubious election reflected a calculation it would make Khartoum less likely to renege on the strategically crucial poll. At stake, as well as independence for the people of the south – though one fears, on the basis of Mr Kiir’s election, not democratic rights – is control over some 500,000 barrels of oil a day, mostly from the south or along what is a contested potential border line between the two parts of the country. The oil has been enough roughly to double Sudan’s per capita income in the last 10 years. Though its benefits have been unevenly spread, it has contributed to the country’s recent economic growth and Mr Bashir’s relative popularity in the north. Some suggest he had no need to rig the election. Sudanese authorities began marking the border yesterday in preparation for the poll. A generation has been born and raised the world over since Sudan held elections. This week, the people of this war-torn country voted. ..
Britain can take general elections for granted, but millions of voters queuing in Sudan last week carried historic significance: it was the country’s first multi-party poll in almost a quarter of a century. The five-day ballot was part of a peace deal that ended 20 years of war between the majority Muslim north and mainly Christian and animist south that left more than 1.5 million dead. But the process was marred by allegations of vote-rigging and a boycott by many opposition parties. Another key condition of the peace agreement means this could also be the last election of its kind. Africa’s biggest country is poised to split into two. In January the south is due to hold a referendum on independence. If, as widely expected, it votes yes, it will create the continent’s first new nation since Eritrea declared independence from Ethiopia in 1993. But diplomats fear that secession could encourage similar movements in Nigeria, the Democratic Republic of Congo and elsewhere, leading to a Yugoslavia-style fragmentation. Libya’s Muammar Gaddafi recently caused a diplomatic spat by arguing that Nigeria should divide into a Muslim north and Christian south. He then modified the proposal, suggesting several states along ethnic lines. Representatives from the different parties are observing the count. Mr Carter acknowledged there were problems with voting, but said he could not be sure whether they had given any particular candidate an advantage. He said the fact that a significant part of the opposition had announced a boycott would not affect the legitimacy of the poll. “As you know, almost all the candidates remained in the race until the end of the campaigning period was over,” he told the BBC’s World Today program. This meant the ballot papers had been printed with all the candidates’ names on them. “The National Election Commission unanimously told us that if any candidate gets a vote, whether that party has withdrawn or not, the candidate’s vote will be counted. Mr Bashir, who is wanted by the UN for war crimes in Darfur, where a low level conflict continues, has asked rival parties to join his government if he wins. Just as he is certain to win the presidential vote, the southern former rebels – the Sudan People’s Liberation Movement (SPLM) – are likely to dominate the polls in the south. The country’s ruling party said on Thursday that soldiers from the semi-autonomous south had killed at least five of its supporters in the first reported incident of deadly violence during polling. 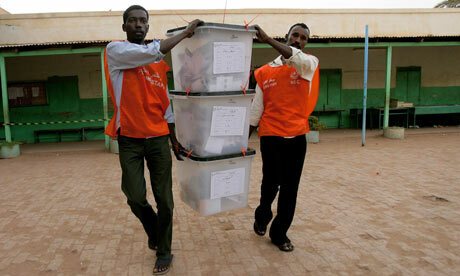 In Darfur, though, the authorities were keen to highlight there was no major security incident during the elections. The National Elections Commission (NEC) has started counting votes since the polls officially closed on Thursday in Sudan’s first multi-party elections since 1986. However, this election has been marred by opposition boycott and technical issues that have undermined its credibility in the eyes of the observers. In the presidential race, the NCP leader and incumbent president Omer Hassan Al-Bashir maintained a comfortable lead over his rivals scoring no less than 85% in the districts announced so far by NEC including foreign posts with Sudanese expatriates voting abroad. But the race was expected to be an easy one for Bashir after his main challengers, the Sudan People Liberation Movement (SPLM) candidate Yasir Arman and the ex-PM Al-Sadiq Al-Mahdi who is the Umma party chief withdrew from the race. By contrast, the legislative and gubernatorial elections in the North were expected to witness a stiff competition between parties some of which are relying on a religious followers base such as the Unionist Party (DUP) whose leader Mohamed Osman Al-Mirghani is also the head of the Al-Khatmiya religious sect. DUP and few other parties that did not boycott the elections revealed unfavorable preliminary results as reported to them by their monitors. “Everything is totally corrupt. We are fed up and we will never recognize these elections,” the DUP’s Salah al-Basha told Reuters. Prior to the vote, he said the party was sure to win the governorships of at least six states. Friday he said it looked to have won none. This week the NCP senior figure Ghazi Salah Al-Deen Al-Attabani has offered all opposition parties to join the new government even if they boycotted the elections saying the country needs consensus ahead of the 2011 referendum in South Sudan. However Bashir dismissed his aide’s remarks saying the post-election government will consist primarily of those parties that did not boycott. The Sudanese president in an interview with the independent Al-Akhbar newspaper questioned the wisdom of elections and competition if all parties were going to be part of the national government without regard to the outcome produced by the election. He said that it is best for the country to have a strong government that enjoys a degree of coherence and harmony that reflects parliamentary and also to have a strong and responsible opposition exercising its oversight role on government performance. Nairobi — Donor circles want Southern Sudan to drop its bid for independence in the referendum next January, as concerns grow that a rushed secession could trigger turmoil and instability beyond Sudanese borders. In 2005, President Omar al-Bashir’s National Congress Party and the Sudan People’s Liberation Movement, led by the late Dr John Garang signed a Comprehensive Peace Agreement (CPA) that ended 22 years of war between the North and South. That CPA left the door open for the South to break away from the union if 60 per cent of voters decide so in the 2011 plebiscite. The EastAfrican has separately learned that key Western democracies and institutions, fearing that independence for the South in its present state could see the area slide into anarchy, have quietly urged President Salva Kiir’s government to go slow on secession. “Independence for the South should be put off for a few more years primarily because of lack of capacity in the South to run a stable and secure state,” said a source privy to Western analysis of the evolving situation in Sudan. The West is spooked by the prospect of sudden independence for a fragile state — with a corrupt and fractious national leadership, a nearly non-existent civil service, a poorly established local police and professional military — immediately disintegrating into a civil war. This could draw the international community into a costly intervention to rebuild a state that few countries want to underwrite in the current economic climate. With new discoveries of oil in both Uganda and Sudan and the likelihood of further discoveries in the northeast of the Democratic Republic of Congo, peace in the region is essential to the exploitation of these resources. Western strategists believe that even under the best of circumstances, the absence of institutional infrastructure in the South and independent communication links to the outside world mean Juba would remain hostage to Khartoum, making it difficult to get energy and other exports to outside markets. Such a scenario would deny the infant state the resources to deliver to the population the promised benefits of independence, leading to high levels of discontent that could result in a breakdown of law and order, said one analyst. Other fears revolve around the fact that the South is far from homogenous and united, with a real risk that it could spiral into uncontrolled violence as the different regions jostle over resources. Apparently, the West would like to see some slack factored into the timeline for Juba’s independence ambitions, while the shaky alliance between the SPLM and al-Bashir — who has largely been “contained” by the ICC warrants against him — is propped up until such a time that institutional capacity and critical infrastructure have been developed in the South. Apparently, Kenya and Uganda, which have separately announced plans to build key road and railway links to Juba, are partly implementing this strategy. For their part, while officially professing the position of the Intergovernmental Authority on Drought and Development (Igad), which is to encourage the parties in Sudan to make unity as attractive as possible, Kenya and Uganda are pursuing a two-track strategy. On one track, fearing to set a precedent that could lead to a ripple effect with sections of their own populations agitating for secession, Uganda and Kenya are not officially breaking ranks with proponents of a unified Sudan. Uganda is still wary of what a split of Sudan would mean for its restive north, while Kenya has for years kept a wary eye on its northeastern regions bordering Somalia. “In international law, it is very rare to find a country openly calling for the partition of another country because it sets a precedent that could come back to haunt them; in the case of Uganda, you must have heard Norbert Mao (chairman of Gulu District Local Council in northern Uganda) suggest that the north should break away from Uganda,” said Uganda’s Junior Minister for Foreign Affairs, Henry Okello Oryem. According to independent sources however, Uganda and its EAC partners believe that despite the challenges the South faces, Juba is better off breaking away from its unproductive marriage with Khartoum.